A.P. Carter, The Carter Family Museum. 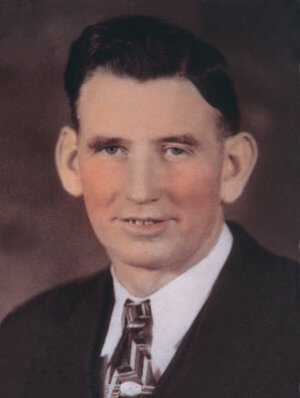 Alvin Pleasant Carter was born in Poor Valley (known now as Maces Springs), Virginia, in 1891, the first of eight children of Robert and Mollie Bays Carter. From birth Pleasant -- or A.P., as he would later be known -- suffered from a physical tremor, as well as a constitutional restlessness, which his mother ascribed to a near miss by a bolt of lightning while she was pregnant. Early in childhood A.P. learned to play the violin, and it soon became clear that he was a natural musician. He sang in the local church choir, and helped out his uncle, Flanders Bays, who ran a traveling singing school in and around Scott County. Nursed back to health by his mother, A.P. went to work for Flanders Bays selling trees and shrubs for a nursery. The job gave him the chance to exercise his restlessness, traveling around Scott County, staying with the locals and playing music on the porch after dinner. One day in 1914 A.P. made his way over Clinch Mountain to make a sale to his cousin Milburn and his mother, Aunt Susie in Copper Creek. Approaching their house he heard a beautiful alto voice. As he stood in the front room 16-year-old Sara Dougherty finished her song about the death of a train engineer, and sang it again at A.P. 's request. Sara Carter, The Carter Family Museum. A.P. was captivated. "He thought it was the most beautiful voice he had ever heard," his granddaughter Rita Forrester recalls, "and that she was the most beautiful woman he'd ever seen." 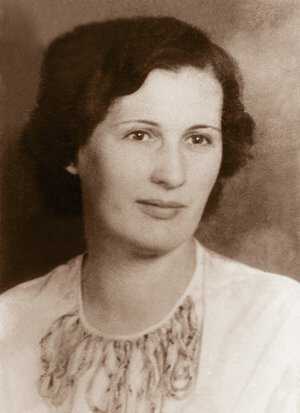 Sara Dougherty was born in 1898 to Sevier and Elizabeth Kilgore Dougherty of Wise County, Virginia. Sara's mother died when she was three years old, and the young girl spent the better part of her childhood hopscotching around Virginia with her father from one relative's house to another. Eventually Sara settled with her uncle and aunt, Milburn and Melinda Nickels, in Copper Creek. Like A.P., Sara was a musician at heart. "I really couldn't say what the main thing was that brought them together," A.P. and Sara's son Joe later said, "but music I'd say was what done it." As a girl Sara had formed a singing group with her cousin, Madge, and when she was twelve years old she bought an autoharp. A.P. set about courting Sara, regularly making the trek over Clinch Mountain, and the two were married on June 18, 1915. Back in Poor Valley, Sara joined the church choir, and the two of them traveled around to "singing conventions," representing their church and their hometown at events throughout southwestern Virginia. By 1919, A.P. and Sara had moved to a slightly larger cabin on a bit more land in nearby Maces Springs. Their first child Gladys was born that year. Two more would follow in the coming years: Janette in 1923, and Joe in 1927. Maybelle, The Carter Family Museum. 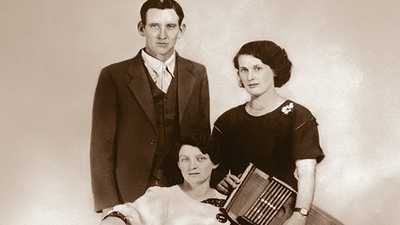 The third member of the Original Carter Family group was Sara's cousin, Maybelle Addington, born on May 10, 1909, in Midway, near Copper Creek. Like A.P. and Sara, Maybelle was surrounded from birth by music. Her brother Dewey played the banjo at local dances, and Maybelle soon learned to play the guitar, which was just becoming popular. 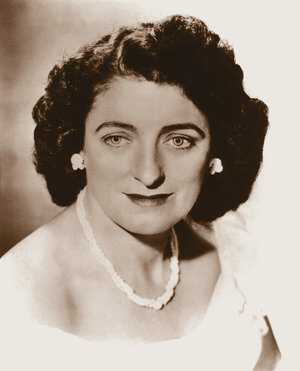 Though she never learned to read music, she developed a decided flare for the new instrument and invented a unique style of playing known as the "Carter scratch." A.P., Sara, and Maybelle would often play together, and in December 1925, Maybelle went to Maces Springs to do a schoolhouse show with A.P. and Sara. There she met A.P. 's dashing brother Ezra, known as Eck, and the two fell in love. On March 13, 1926, Maybelle and Eck were married, and Maybelle went to live with Eck and his parents and siblings in Poor Valley. The music would continue as a largely local affair for another year, until the three finally got their big chance. 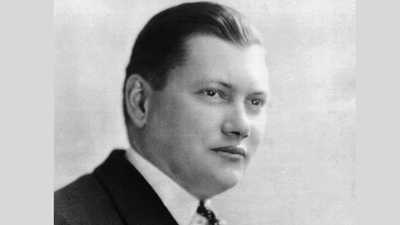 Ralph Peer's first Southern hit was fiddler John Carson from Atlanta, Georgia, whose first recording of The Little Old Log Cabin and The Old Hen Cackled sold more than 500,000 copies nationwide. 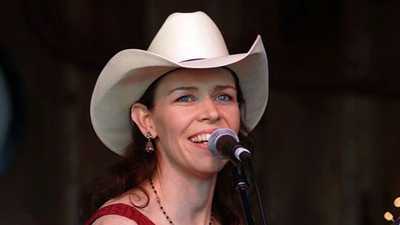 Grammy winning musician Gillian Welch describes and demonstrates the influential techniques of the Carter family.